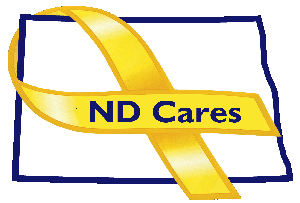 Valley City was recognized as a ND Cares Community at the January 2, 2018 City Commission Meeting. Warren Ventsch, Al Schuldt, and Jim Verwey, members of the Valley City Steering Committee were in attendance. ND Cares is not a provider of services; rather, it is dedicated to improving understanding of the needs and services required by our heroes who should be able to access them close to home. Strengthening an accessible, seamless network of support for Service Members, Veterans, Families, and Survivors. VA Welcome Guide: this resource provides step by step enrollment instructions and clear points of contact for any questions to use the VA benefits and services. inmyarea.com: this site helps veterans find the best providers for Utilities, Renters Insurance, Cable TV and Internet available in their sepcific area. December 3 - 19: Christmas Stockings for Military Children & Families, Various Locations. For more details, see PDF flyer.